Inspector General of Police(IGP) Mahinda Balasuirya has handed over his resignation, Defence Ministry confirms. 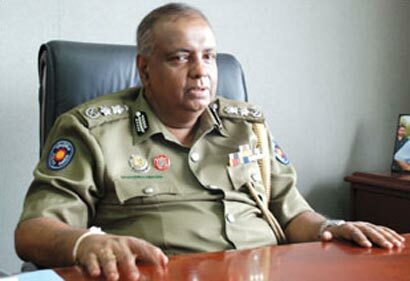 Balasuriya joined the Police Department in 1978 and was appointed IGP on November 2, 2009 following the retirement of the then IGP Jayantha Wickremaratne. The Defence Ministry adds that the IGP’s resignation creates history in public accountability in Sri Lanka. SF ta IGP post eka deela jvp ekath iwara karoth narakada soma…? SF jail ekata giyeth jvp lanu kaalane… Eka nisa kemati wei neda..? Ekata indala maraa ganna eka politis waladi simple wedakne…! Habai me wadeta SAJITH unath hondai, eya dannawane 89 piya weda karapu hati…!